Pastor Malloum and his wife Rachel serve the Chadian Lutheran Brethren Church as missionaries to the Fulbe people of Chad. I first heard about Abdu (an alias) as I was visiting with a Christian friend at the weekly open air market in Ba’illi, the town across the river from where I live. My friend informed me that an older Muslim man named Abdu had approached him and other known Christians in the area, asking questions about the Christian faith. Christians can get understandably cautious when Muslims approach them to ask about their faith. 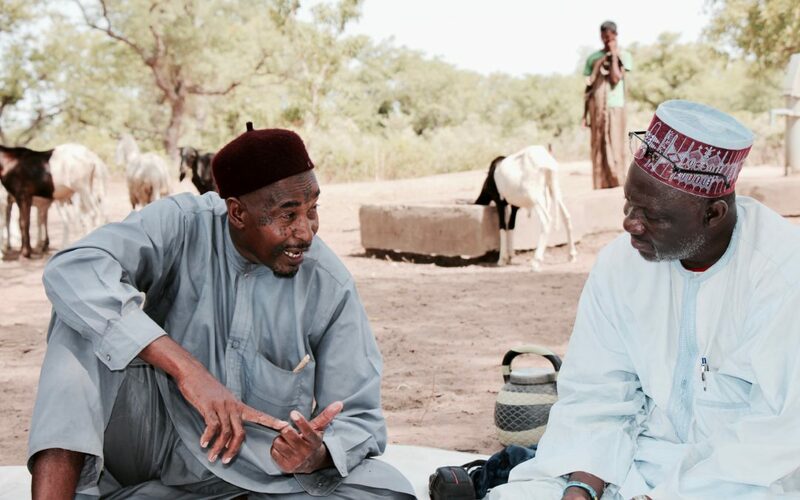 There is a significant cultural, traditional and historical divide between the Muslims, of the central and northern parts of Chad, and the Christians, who typically come from the south of the country and most of whom converted out of a pagan animistic religion. This divide can lead to a sense of unease and distrust when conversations veer towards spiritual things. Because of this, Abdu had apparently expressed frustration that he was not finding the answers to the questions that he sought. I decided to pay a visit to Abdu. Loading my motorcycle into a dugout canoe, I crossed the river, then rode 35 kilometers to my friend’s village. There I was given directions to the Fulbe nomad camp a few kilometers further, where Abdu resided. I soon found Abdu and approached him, greeting him in his own language of Fulfulde. According to custom, he quickly spread out a mat under a shade tree outside of his straw hut, and instructed a boy nearby to prepare tea. After the perfunctory greetings, I introduced myself as a pastor that had heard about his interest in the Christian faith. I asked if I could help answer his questions. He smiled broadly, pleasantly surprised that a Christian would approach him in this way. For the next two hours, as we sipped hot sweet tea, we talked. We discussed many things, including the distinctives of the Christian faith as compared to Islam, the person of Jesus, his divinity, his life, his teachings, his miracles, and the reason for the Christian insistence upon his death and resurrection. I left Abdu that day grateful for the opportunity to share the gospel with this man who was seeking truth. At the time, I had no clue about how God would use this conversation. I found out a few short weeks later when Abdu appeared at the door of my home, calling out a greeting of “Salaam a lekuum!” (Peace be upon you). We again sat down, shared tea and visited for hours. He informed me that he had now moved into the area (nomads tend to move around a lot). I suspect he moved so that he could continue to seek answers. We had many more similar and ongoing conversations about the Christian faith. Two months later, Abdu asked if he and his wife could move in with my family. He offered his services of herding my four cattle as recompense for room and board. My wife Rachel and I prepared a room for them. After he was settled, he confessed to me that he now believes in Jesus Christ as his Lord and Savior. But this decision has not been easy for him. Part of the reason that he asked to live with us is that his own people are suspicious that he is abandoning his adherence to Islam, and with that, his identity and loyalty to his own people. He has not yet been baptized, nor does he attend church with our family, as this would be a very outward sign that he has converted, bringing more persecution on him. But I know he has Jesus in his heart. I see it in him as he joins our family for morning and evening devotions. There is a joy in him that was not there before. Praise God with me for the way he works in the hearts of men like Abdu. Pray with me that Abdu would grow in his faith and in his boldness to share with others. Pray with me that more like him will seek truth. Pray that the Christians of Chad will be bold in the sharing of that truth. Pray that God would raise up more missionaries in Chad to intentionally approach Muslims with the message of Christ that will save them. Pastor Malloum and his wife Rachel serve as missionaries with the Chadian Lutheran Brethren church. 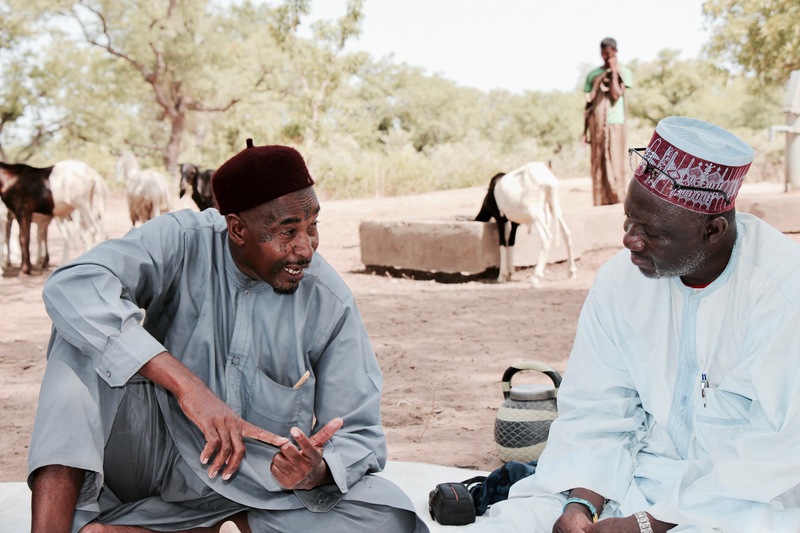 They have partnered with LBIM in the mission among the Fulbe people, and have been serving in this field since 2004.